Garden City Homes provides high quality homes for sale and rent in desirable locations, offering excellent landlord services to our rented customers. Our aim is to provide you with a high standard of living, with a dedicated Sales and Lettings Team to guide you along your journey to your new home. There are no middle men with renting from Garden City Homes, you will be speaking directly to us on all matters of your home and tenancy and we aim to be as flexible as possible to suit your needs. Glenthorpe is a family run business and we aim to provide the highest level of support and assistance throughout the house buying process that is often regarded as a stressful time. We are also one of the few independent Estate Agents serving Northenden, Wythenshawe, Baguley, Newall Green, Sale Moor South Manchester and all areas close to Manchester International Airport. 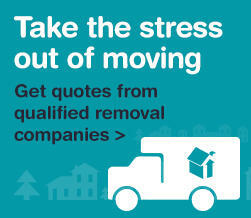 Obtain a Free Valuation for Selling or Renting Purposes with No Obligation. Hunters is the UK’s fastest growing, independent estate agency chain. We are the largest estate agency franchise network with over 100 branches throughout the country . Our ambition is to become the nation’s favourite estate agency brand by 2014 and to achieve this we intend to invest more time, money, expertise and technology than any other estate agent. Successfully sell or rent your home with My Online Estate Agent. We offer everything you would find at your local high street estate agent but with one major difference, we charge a low fixed fee rather than commission. For Sales we will assist with property valuations, and then visit your property to take photographs, create floorplans, prepare EPCs and agree your property description with you. Give one of our team a call to see if we can save you thousands of pounds via My Online Estate Agent.